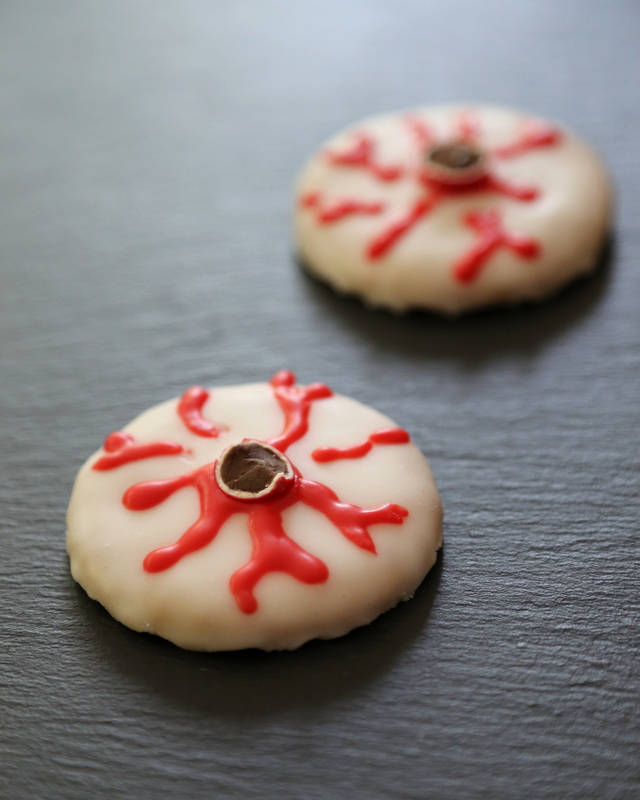 These cookies are creepy, spooky and are a surprise trick treat! 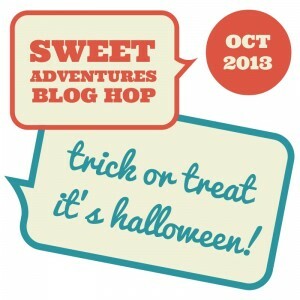 Just the thing for a Halloween party and perfect for this month’s Sweet Adventures Blog Hop. For the white base I simply mixed some icing sugar with just enough water to achieve a smooth and quite viscous paste. I spooned this onto each cookie and smoothed with the back of the spoon, allowing the icing to drip down the sides as it sat on a rack to dry. Once they were dry I mixed more icing sugar with red food colouring and a very small amount of water. I used a piping bag to squiggle this onto the cookies. I finished by securing a Jaffa piece with some of the red icing sugar mix. Posted in Biscuits & CookiesTagged cookies, food, food photography, Halloween, SABH, Sweet Adventures Blog Hop, vegetarian, zombiesBookmark the permalink. Great idea using store-bought cookies! 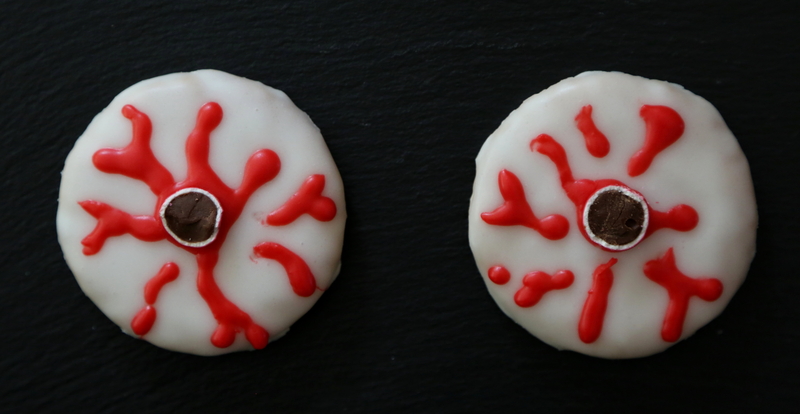 A zombie eye would go rather nicely with my tea right now! Thanks! Wheaten biscuits are very tasty with a thick layer of icing! Yes; children shouldn’t have all the fun! Look like a great spooky halloween treat. Yes, kids will definitely have lots of fun with this! I love them! It takes me back to my childhood. I remember decorating shop bought biscuits however I don’t ever remember eating them. Mine clearly weren’t as appetising as yours! Thanks Nic! I think for kids the fun is always in the decorating!